You have to see this to believe it! Beautiful life like cluster of roses that creates a 10" ball. It makes a perfect centerpiece! For indoor use only. 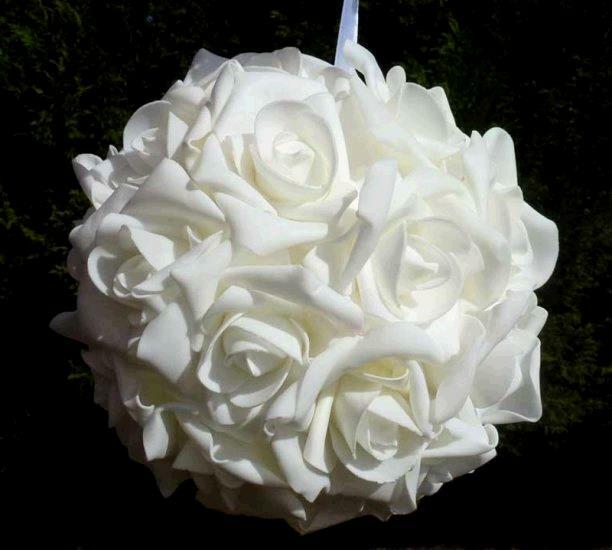 ** Please call us for any questions on our floral ball 10 inch white rose rentals in Fairview Heights IL.